The November 2017 election results were a positive game changer for Virginians for Alternatives to the Death Penalty and its work. For the first time, Virginia voters elected a Governor who said he would sign a death penalty abolition bill. 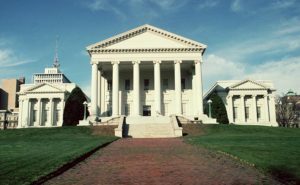 In the House of Delegates, opponents of abolition were dealt a significant setback. Prospects for our immediate priority — a bill that would exempt people with severe mental illness (SMI) from the death penalty — have brightened considerably. However, the news is not all good. Several conservative Delegates friendly to VADP were defeated by new legislators whose views on the death penalty are not clear. And two of the four remaining men on Virginia’s death row may receive execution dates in 2018. The execution of offenders with severe mental illness is the cutting edge of the national death penalty debate. Earlier this year we in Virginia had one such case – Will Morva – that received substantial media attention. Despite a diagnosis of severe mental illness by an independent court-appointed expert, Morva was executed in July. Today, Americans reject execution of those with severe mental illness by a two to one margin. Legislation to outlaw this savage injustice is overdue, and we can achieve it in Virginia soon with your help. Early this year, the SMI bill fell just one vote short of success in the House Criminal Law Subcommittee. One vote stood in the way of a full debate on the floor of the House of Delegates. To gain the votes we need to pass the SMI bill, then abolish the death penalty outright, we are building support in more localities, particularly in rural and small-town districts. Thanks to this year’s $25,000 grant from the Catholic Sisters of Bon Secours and matching support from people like you, we hired Dale Brumfield as VADP Field Director in late May. Dale has spent time in places where VADP had had little, if any, outreach – Martinsville, Danville, Chatham, Moneta, Galax, Elkton, Shenandoah, Winchester, and Lebanon. He has been meeting with civic, business, religious, and political leaders to listen, educate, and enlist support for the SMI bill and, ultimately, abolition. But Dale is incredibly busy working in four House districts (out of 100) and four Senate districts (out of 40). We need one more field organizer to join Dale in reaching out to other communities where we have scant support for reform and abolition. Just one year ago we were lamenting the national election results and what seemed to be a more challenging political environment for death penalty abolition. It is a different story this year. We now have a tremendous opportunity. But we need your help now as we plan our work for the coming year. With your continuing support, I am confident that we can be the first southern state to put an end to capital punishment.